…and a fine time was had by all. Thirty-two of our favorite people came for a lovely Hawaiian Sunday of food, fellowship and (lousy) football. 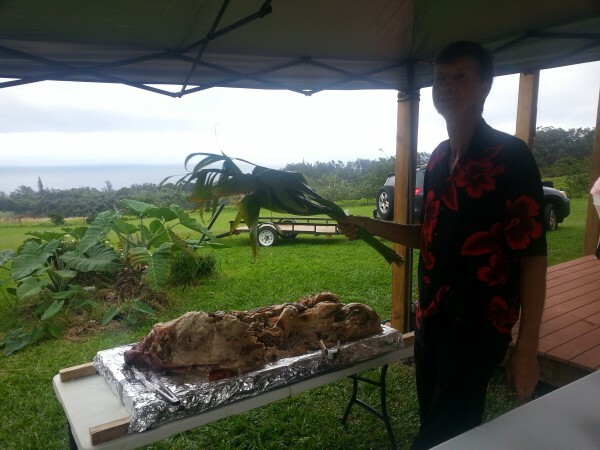 A 125lb pig was steamed in the Imu with banana and ti leaves. 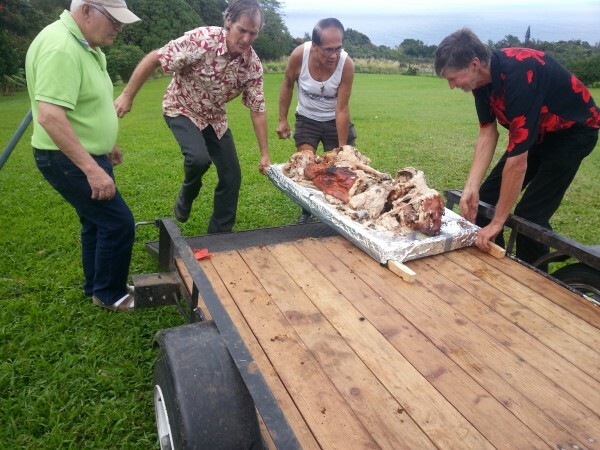 White and sweet potatoes and ‘ulu (breadfruit) roasted in the pit, and friends brought poi, chicken long rice, lomilomi salmon, barbecued salmon/chicken thighs and wings/ and plenty of pupu. DH keeps the flies away!